DENVER – June 21, 2017 – From Award-winning actor/director Scott Haze and Academy Award™-winning executive producer James Moll comes the dramatic story of the life of Charles M. Mully, who is one of Africa’s most respected humanitarians as the father of “The World’s Largest Family,” with more than 12,000 children he has rescued. Filmed on location in Kenya, Africa, which is both the emotional and cinematic backdrop for the docudrama, “MULLY” takes audiences on the journey of one man who has personally experienced each remote edge of that spectrum, from the deepest depths of poverty to becoming a burning fire of hope in Kenya’s dark night. 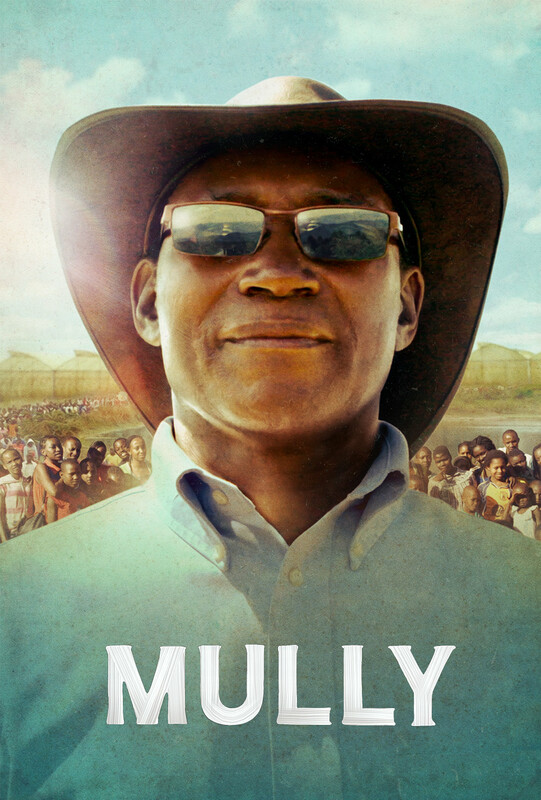 Audiences can experience “MULLY” in movie theaters nationwide on Tuesday, October 3, Wednesday, October 4 and Thursday, October 5 only at 7:00 p.m. local time. This event will also feature interviews with Charles Mully and his wife, Esther, captured exclusively for this cinema experience. Tickets for “MULLY” can be purchased online beginning Friday, June 23 by visiting www.FathomEvents.com or at participating theater box offices. Fans throughout the U.S. will be able to enjoy the event in select movie theaters. For a complete list of theater locations visit the Fathom Events website (theaters and participants are subject to change). What happens when a six-year-old boy is abandoned by his family and left to raise himself on the streets? “MULLY” isn’t your ordinary rags-to-riches tale; it’s the true story of Charles Mully, whose unlikely stratospheric rise to wealth and power leaves him questioning his existence, searching for meaning in life. Against the better judgment of his family and community, Mully sets out to enrich the fate of orphaned children across Kenya. Jeopardizing his life and the security of his family, he risks everything and sets in motion an astonishing series of events that changed not only his life forever, but also thousands of children and the larger community. “MULLY” is produced and directed by Scott Haze (“Child of God,” “Granite Mountain,” “Thank You For Your Service”). Executive Producers include Academy Award-winning producer James Moll (“Foo Fighters: Back and Forth” “The Last Days”), John Bardis, and Paul Blavin, alongside producers Lukas Behnken of Sterling Light Productions, and Elissa Shay. Golden Globe and Emmy Award®-nominee Benjamin Wallfisch (“Atonement,” “12 Years A Slave”) composed the feature’s powerful musical score. FOR GOOD. is the Emmy-winning, Oscar® and Grammy Award®-nominated production company behind the project. Committed to harnessing the power of exceptional art to inspire hope, compel action and igniting lasting impact, FOR GOOD. is led by Paul Blavin, Executive Producer of the award winning documentary “The Hunting Ground,” and the Emmy Award-winning original song “Til It Happens to You,” written by Diane Warren and performed by Lady Gaga. FOR GOOD. has partnered with numerous creative talents to bring “MULLY” to audiences in partnership with Fathom, sharing its bold and unwavering vision for a better world.